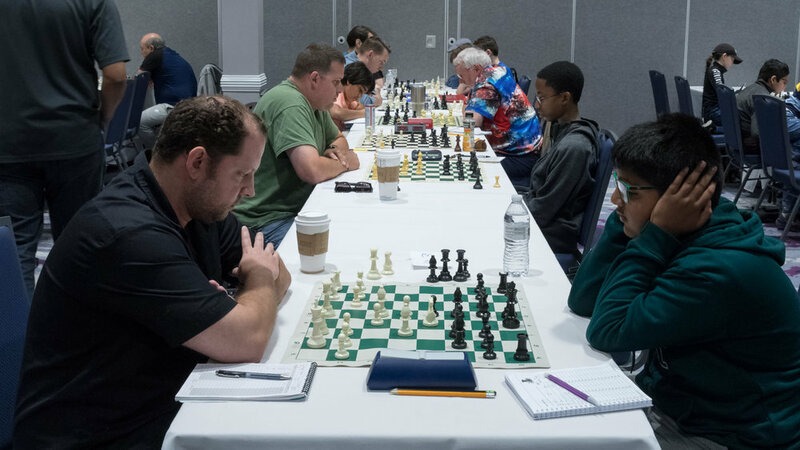 Congratulations to GM Julio Bacerra for his 5-0 sweep in the premier section, where he won his final round game against FM Jorge Oquindo in our 2019 Winter Open tournament event held at the Avanti Palms Resort and Convention Center on International Drive. 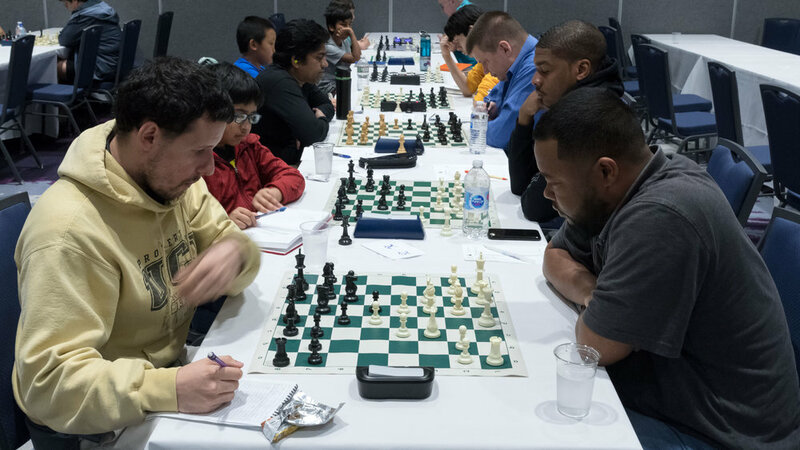 CFCC would also like to thank all of the players who competed in this USCF rated tournament event. 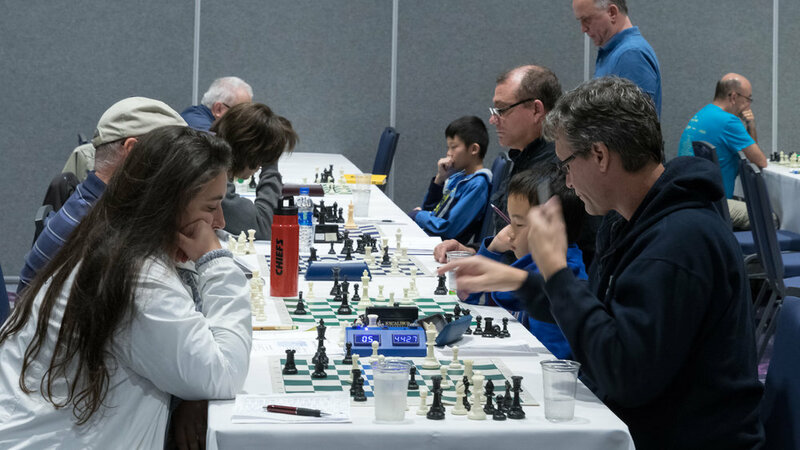 The 2019 Winter Open was held on February 1-3. 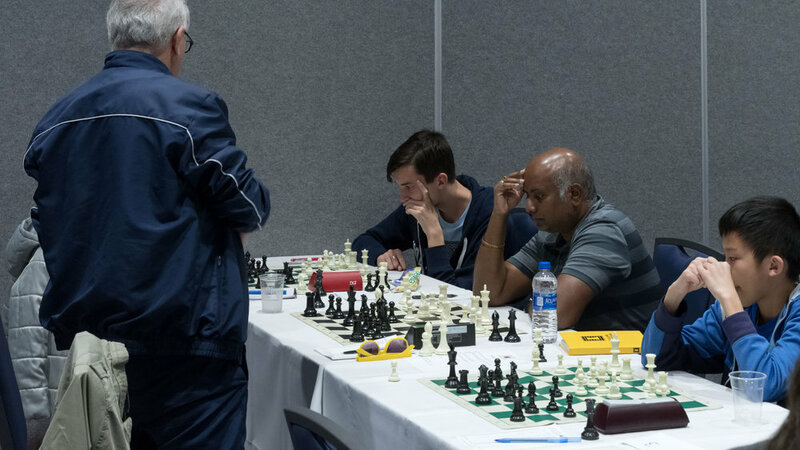 The tournament, formerly known as the CFCC Class Championship, was revamped to feature a Senior section (over 55) and side events like master lectures and a blitz tournament. 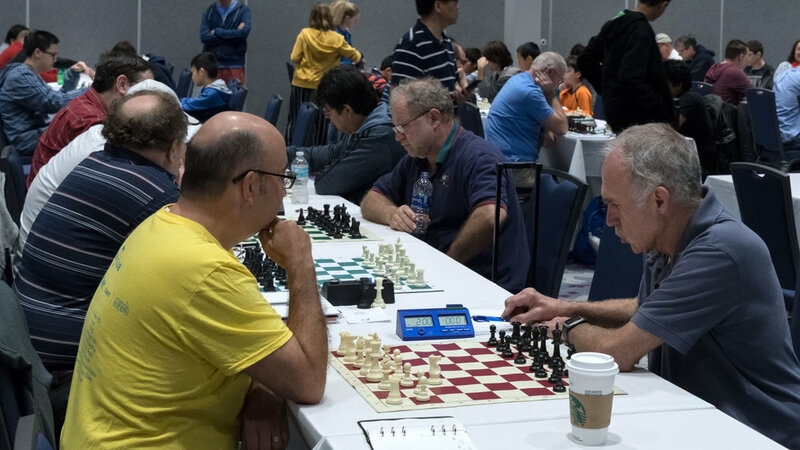 Over 100 players competed in the inaugural 3-day event. 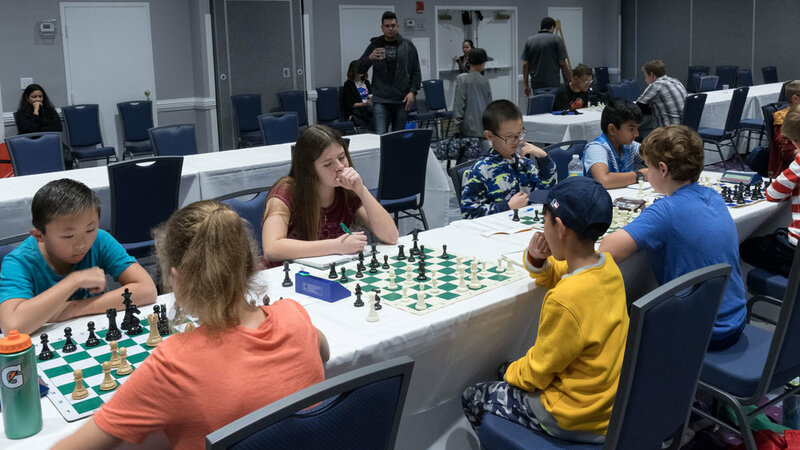 The tournament was held at the newly renovated Avanti Palms Resort on International Drive. It was nice to return to a familiar venue (formerly the International Palms) which has hosted many great CFCC events after a 2 year hiatus to a nicer upgraded hotel with lots of great areas to sit and relax between rounds. 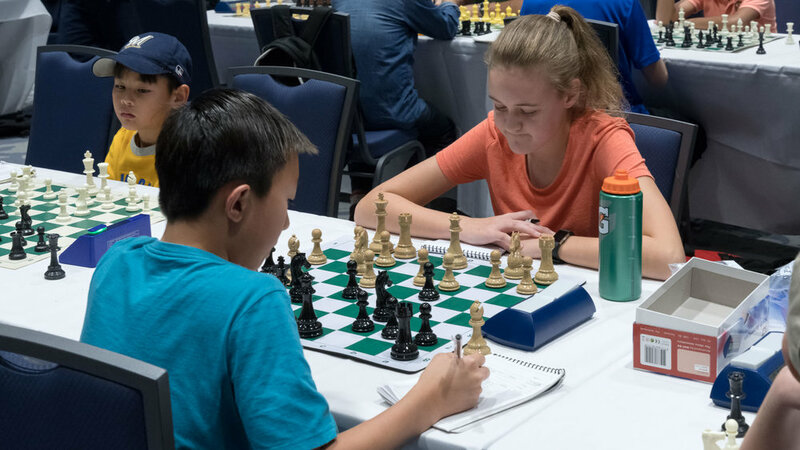 The tournament featured six sections: Premier, U2000, U1700, U1400, U1200/Scholastic, and the Senior section. 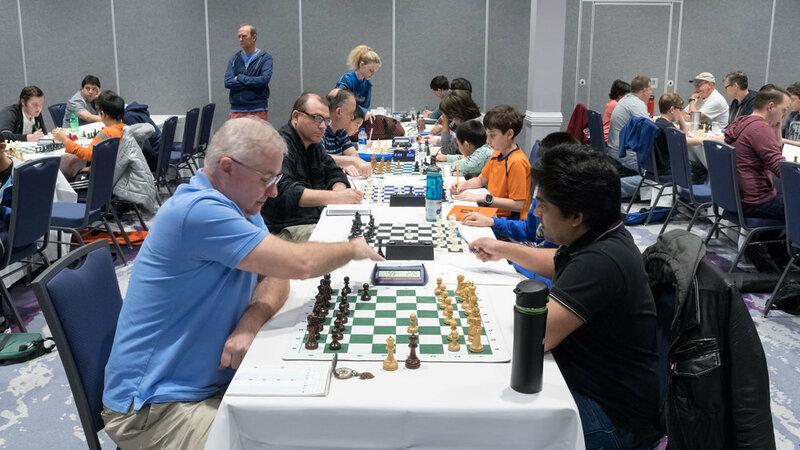 The Premier Section was dominated by top overall rated player GM Julio Becerra (2580) who had a clean sweep finishing with a perfect score of 5 points. Congratulations to GM Becerra, who deservedly took home the $660 first place prize. Tying for second place, winning $297 each, were FM Corey Acor (2351) and Enver Barisha (1989), who both finished with a score of 3.5, although they never played eachother. FM Jorge Oquindo, Theodore Slade and Sureshkumar Rajmani all finished with 3 points in to tie for 4th place and received $44 each. In the U2000 section three players went undefeated to win first, second and third respectively. Congrats to Arnold Banner (1966) who finished with 4.5 points earning him clear first place and $594. Brandon Sibbitt (1859) finished in second place with 4 points with 2 draws, earning him $330. 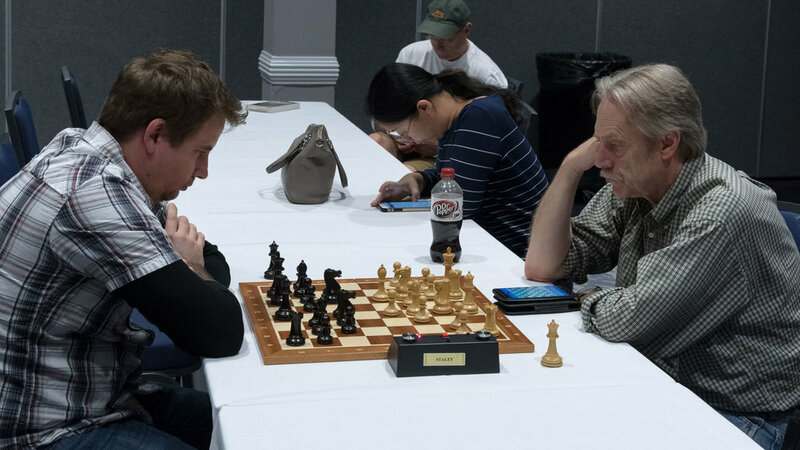 Warren Jones (1881) went unbeaten with 2 half point byes and a score of 3.5 points tying him for third place along with Todd Durham (1835) and William Wu (1737) winning all three players prize of $132 each. 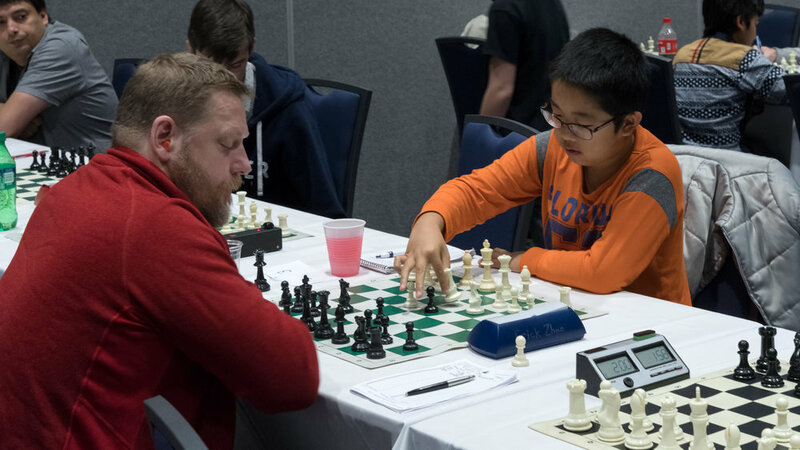 The U1700 section was won by Thomas Moy (1513) who scored 4.5 points and took home $594. 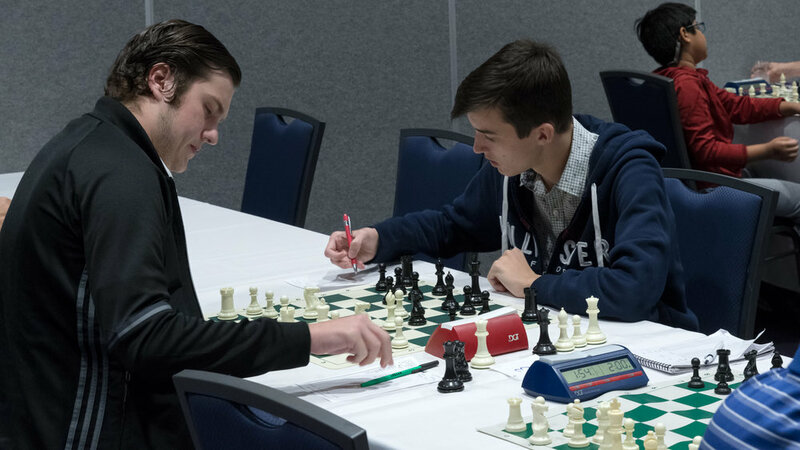 Daniel Hansen (1596) and Ralph Schreiber (1480) both went unbeaten with 4 points, including a draw against one another in round 2, with a score of 4 points and a $264 payday for shared second place. Samuel Wohl (1679) and Darien Brown (1585) tied for 4th place winning them each $99. In the U1400 section Standings. Emanuel Eugene Nazon (1374) won first place and $594 with 4.5 points. Sritej Sai Sattaru (1232) and Geoffrey F Clark (1197) scored four points each to share second place and $264.00 each. Stephen Herreros (1354) and Douglas Philip Bethoney (1265) tied for fourth place with 3.5 points each winning them $99. 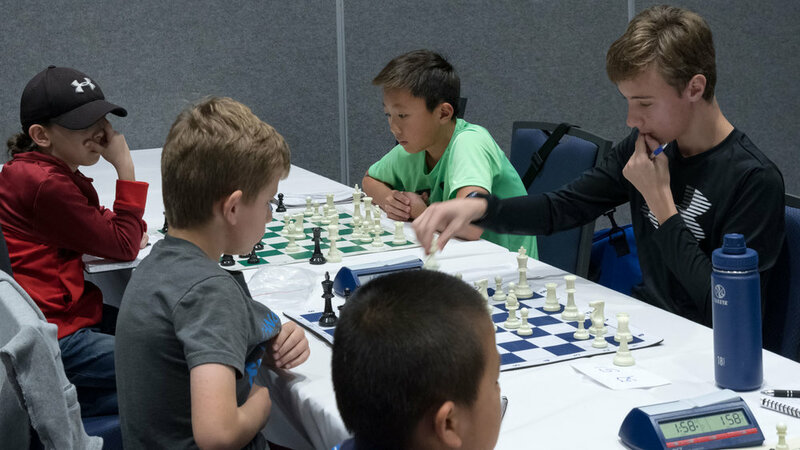 The Scholastic/U1200section was won by Eyal Farber (1067). Congratulations to Eyal who won $264 and was the only player in the entire event besides GM Julio Becerra to score 5 points. 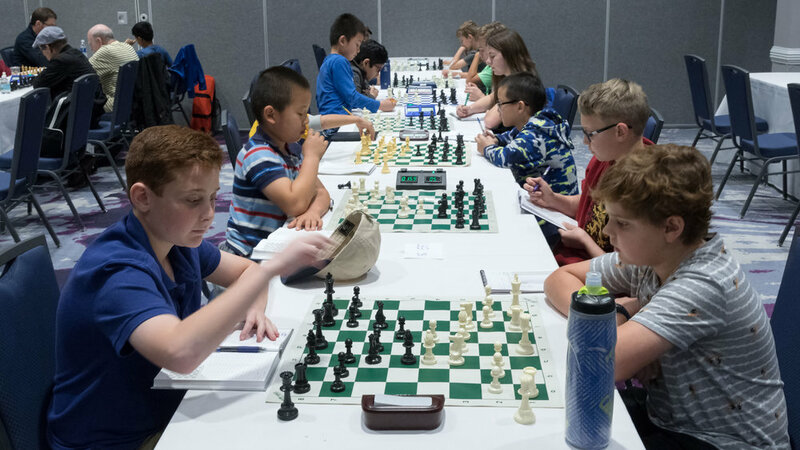 Simon Gong (862) scored 4 points to win second place and 132.00 while Ivan Goponenko (941) and Bailey Foles (809) scored 3.5n points to tie for the U1000 prize and $33 each. Soham Pavan Shirode (781) won the $66 U800 prize with 3 points. 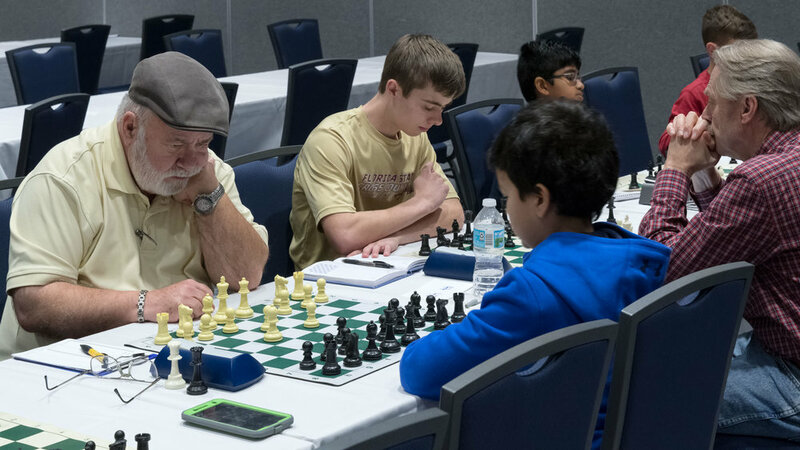 The Winter Open featured, for the first time, a Senior (55 and older section). 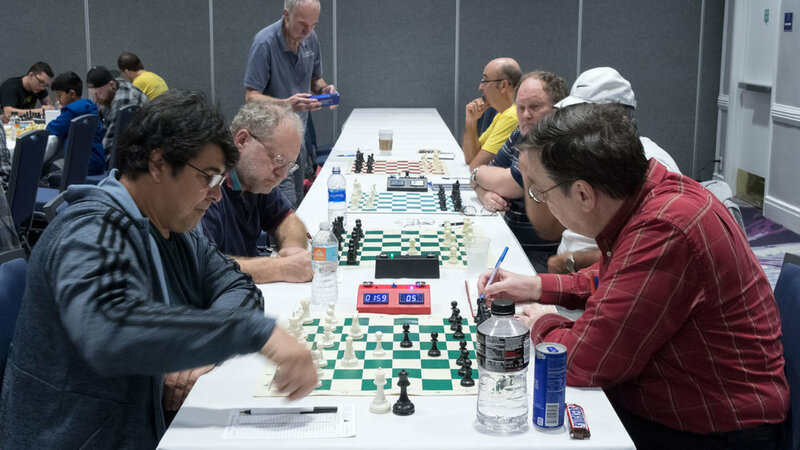 Nine players competed in the section. Congratulations to IM Pedro Rodriguez (2234) from Cuba who won the first place prize of $264 with 4.5 points. Juan Dominguez (1899) and Clinton Young shared second place honors and $66 each. Saturday night featured a 4 round, double-round blitz tournament. 16 players competed in the blitz. 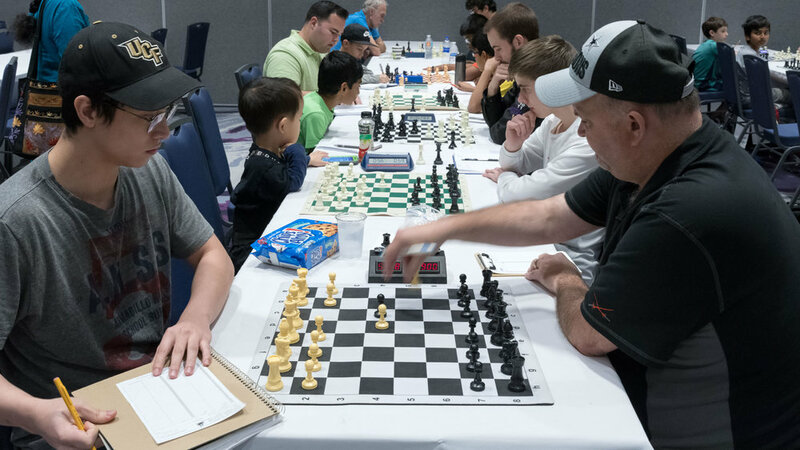 No one was even able to get even a draw against GM Julio Becerra, who again swept the field with a perfect 8 points to win the tournament. Mixed doubles prizes were also awarded to the top male/female team. Congratulations to the team of Zoe Zelner (1794) and Arnold Banner (1966) who took first place with a combined score of 7.5 points winning them $66 each. The team of FM Corey Acor (2351) and Violetta Atseva (1417) scored 6 points to win second place mixed doubles and $33 each. NM Larry Storch and FM Alex Zelner gave insightful and entertaining lectures on Saturday and Sunday morning. Steven Vigil, Harvey Lerman and Terrance Washington served as Tournament Directors for this event. Alex Zelner and OCG provided the chess store. CFCC’s next weekend tournament will be the Sunshine Open June 1-3. We hope to see you there!